Last autumn, my partner was given a bunch of saffron crocus bulbs (Crocus Sativus) for his birthday. It may have been a dual-present since he is definitely not a gardener. 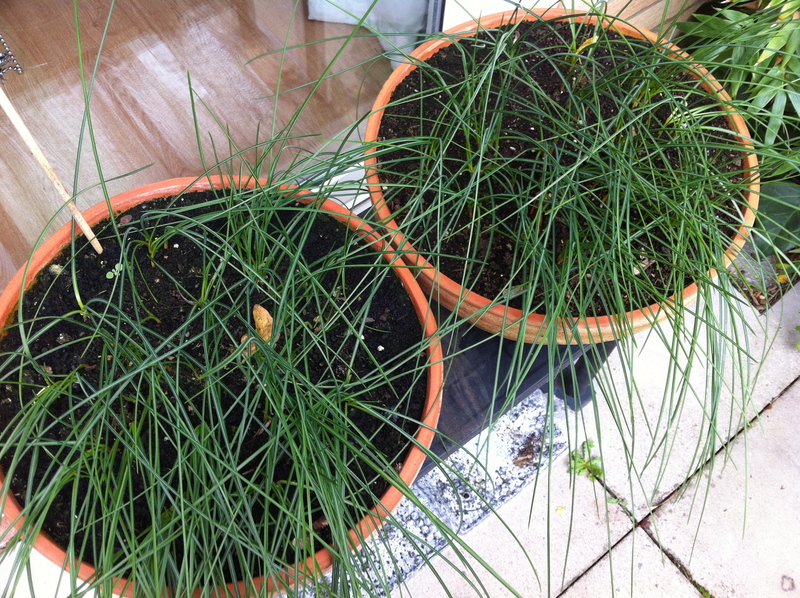 We planted the bulbs into two shallow pots and managed to harvest a small pinch of saffron. They stayed in their pots for all of this year and they’ve come out again in leaf; but there isn’t a single flower. As saffron is the most expensive spice in the world, we’ve essentially had a cash crop failure, which is rather appropriate considering we’re (still) in the middle of a credit crunch. After they’ve finished this season’s growth, I’ll empty the two pots out to take a look at what could have gone wrong. Any news on this? I had the same problem for the past two years. I am thinking they aren’t getting enough sun, but have no way to prove it (my balcony garden has dappled shade). I think it’s a case of not enough heat and light in the spring/summer months and winters that are too wet. The conditions these enjoy will be similar to that of tulips. In the end we turfed these out as a lost cause and freed up the pots for something else. I’m not planning to try again with Saffron Crocus, it’s a nice idea, but I don’t think it works well in practice.